BONUS: Core Max comes complete with a NUTRITIONAL GUIDE, WORKOUT DVD & FAST RESULTS WORKOUT CHART! 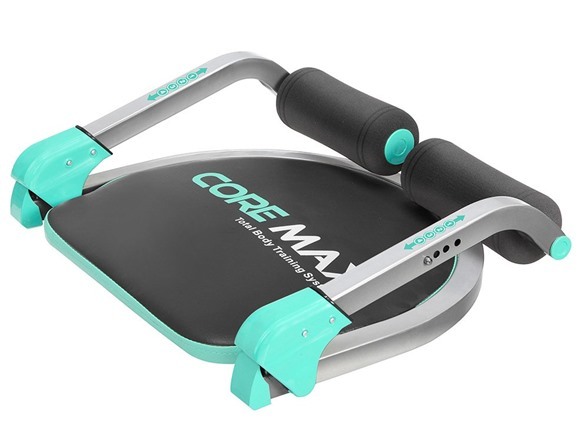 FOLDS FOR EASY STORAGE: Core Max is designed with ease and function in mind! You can easily store Core Max in small spaces and take it out daily. Ordinary crunches only work on the way up and can strain. 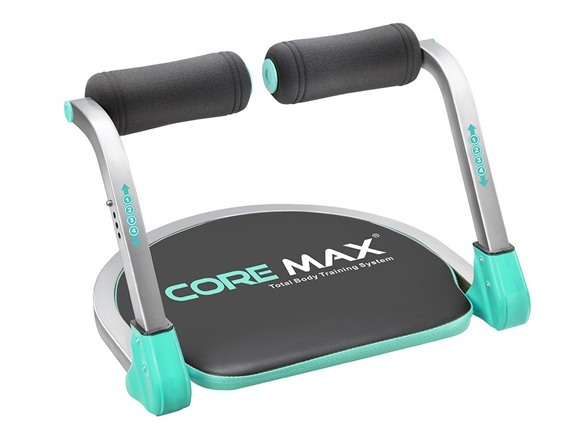 Core Max's amazing Fast Track Technology and its hidden power-assisted spring assists you in both directions, just like a personal trainer, targeting your upper, middle, lower abs and obliques. So you get double the workout in less time. 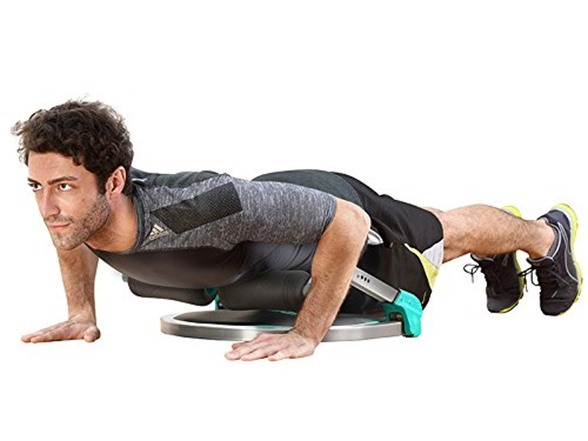 Core Max is great for users of all fitness levels. There are 3 levels of resistance and they are easy to adjust in just seconds! Core Max is designed with functionality in mind. The arms fold flat so it can be easily stored under the couch, the bed, and just about any compact space. Comes completely assembled. 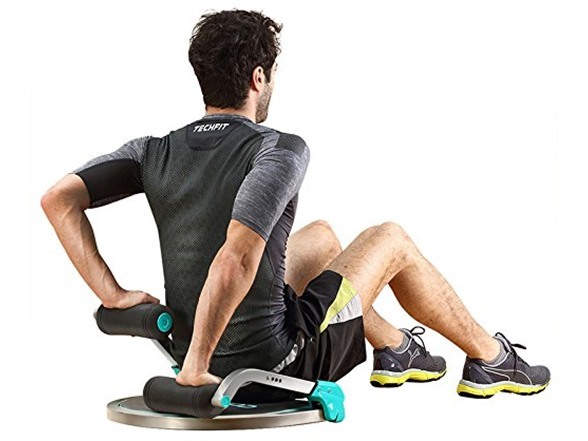 Once you remove it from the box, just adjust the two arms to the desired level of intensity to start getting into shape! This purchase comes with an Exercise Guide, a Healthy Eating Guide, and a Workout DVD, all for Free.